Already have a boho wedding dress but still dont know what to do with your hair? You must see what we found for you: relaxed updos, unfussy wedding buns, loose waves and other effortless chic ideas. 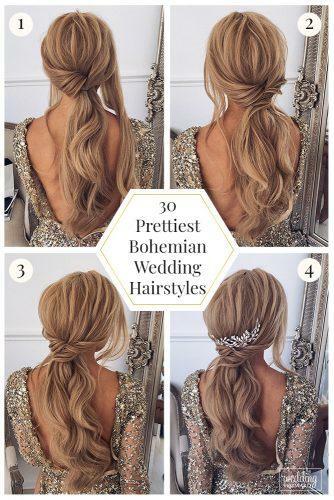 Look through our gallery of bohemian wedding hairstyles. Happy pinning!